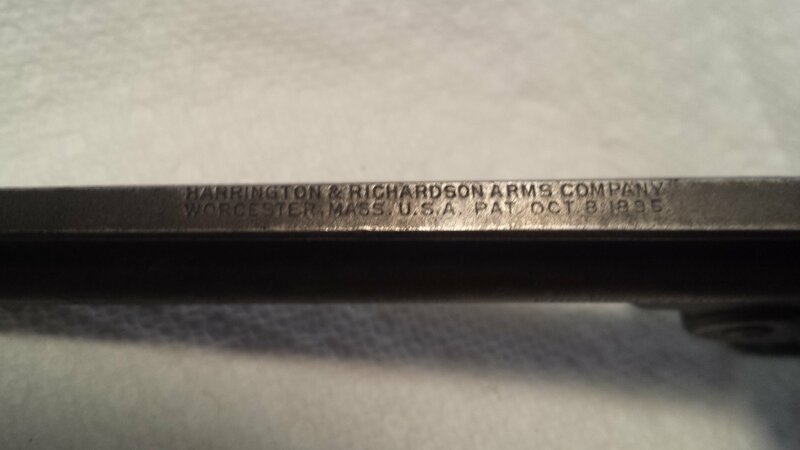 I have a Harrington & Richardson Arms Company Revolver. It is a top break 7 shot. 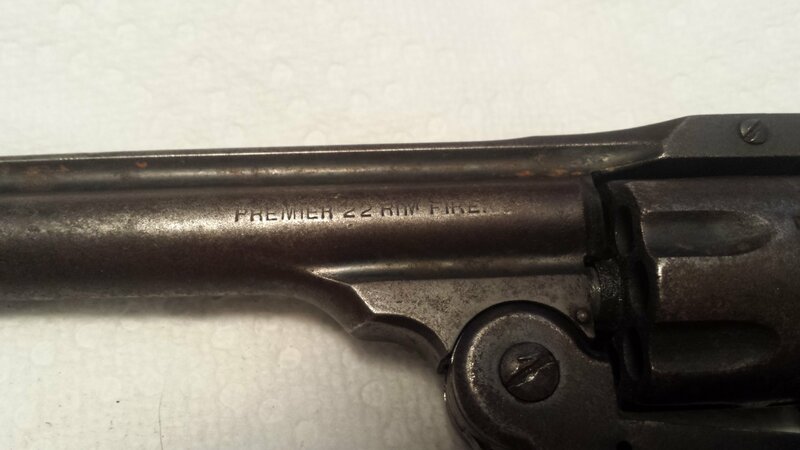 On left side of barrel it reads Premier 22 Rim Fire. The serial number is ***** Barrel length is 5 inches. Was wondering if you could give me more info on it. Are you looking for info on the value? 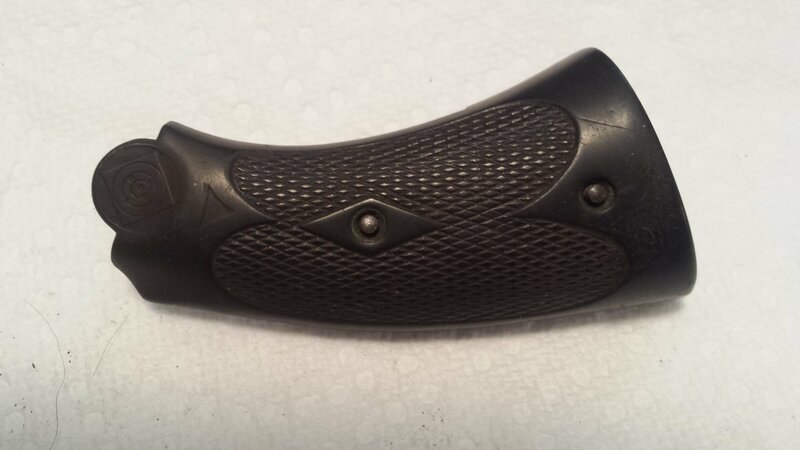 I was hoping to get info such as model, manufacture date, where I can find schematics/parts for it, value, etc. Ok, understood. Let me gather the info for you. I will return asap. Excellent, thank you. Working on it. 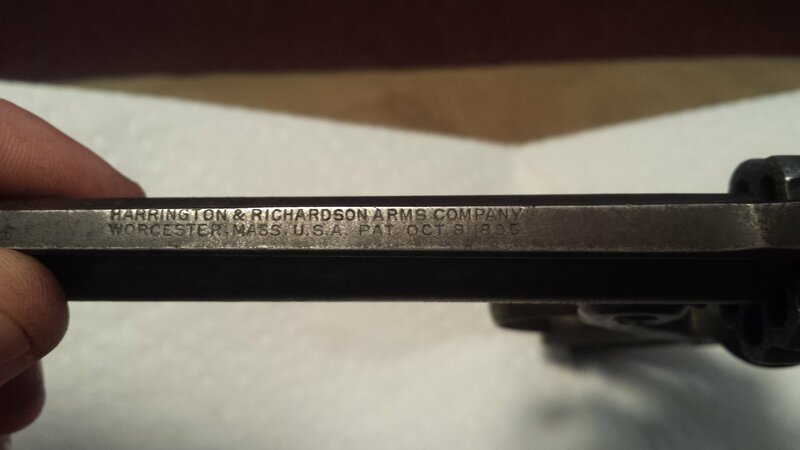 Need some info - Can you tell me the patent dates and exactly how the company address is listed on the gun? If you are new to Just Answer, please read first: Once you have read the answer below, you will be prompted to provide a positive rating (on your screen now) for my efforts in answering your question. Please understand that this positive rating is how the website pays me for my work on your question. The rating that you give is for my efforts, not the specific answer itself. Sometimes we give a good effort but must deliver bad news, like a low value for your firearm. We don’t like having to do that, but we want to provide you with an honest answer nonetheless.This rating must be completed by you in order to close the question out. If you have a follow-up question, you can still reply back to me and I’ll be happy to assist you further. Please reply back and ask any additional questions that you have before you consider leaving a negative rating.If you have trouble with the rating system, simply reply back with “excellent service, good service, etc.”A few days after receiving your answer, the website will send you a brief customer satisfaction survey. Please take a moment to complete that, as those high scores are what allows me to be able to help future customers. Thank you for your interest in our Firearms Appraisal service. The information you provided was used to properly identify the information below. Here is the information you requested about your Firearm taken from www.bluebookofgunvalues.com.. Estimated Value Range –see below.. Description - .22 rimfire or .32 S&W cal., double top post barrel latch, 5 or 7 shot, automatic cylinder stop, nickel finish with case hardened hammer and barrel latch, 2, 3 (standard), 4, 5, and 6 in. 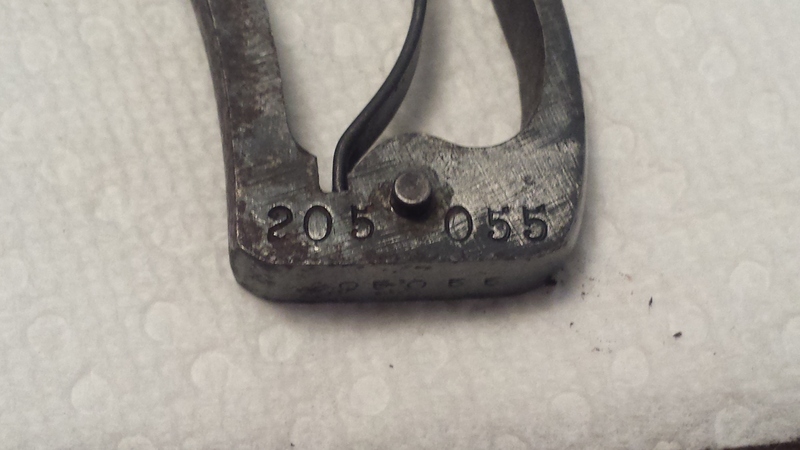 barrel, caliber markings on left side of barrel, manufactured for smokeless powder cartridge pressures. For your firearm, the following current values apply (from the Blue Book of Gun Values). Retail prices may be 20% higher. Percentages are based on the amount of original finish on the gun, and its operational ability. Values are in US Dollars..
Add 20% for .22 rimfire cal. I could not locate a schematic online for the gun, but there may be one out there that can be found with some additional research. 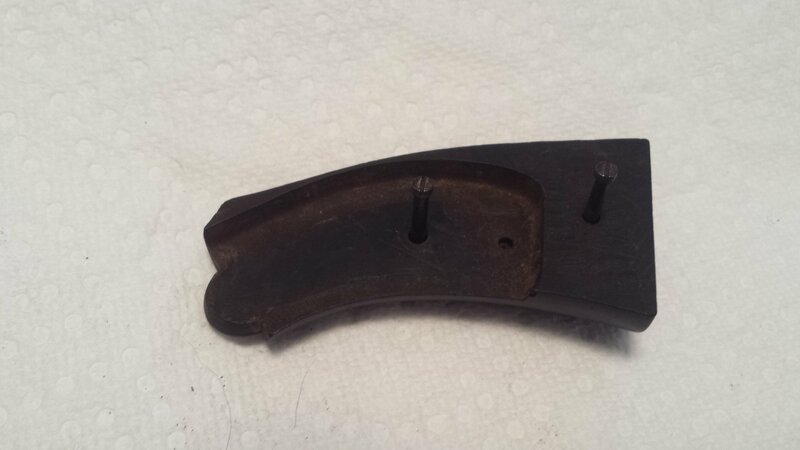 Parts are going to be somewhat difficult to find, but Numrich Gun Parts does carry some here - http://www.gunpartscorp.com/Manufacturers/HarringtonRichardson-33274.htm A gunsmith may also be able to fashion replacement parts for you. 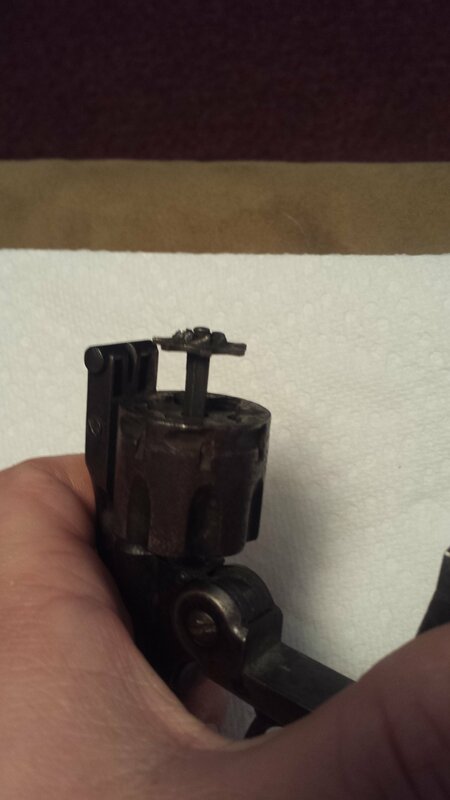 Unfortunately, the cost of making/buying replacement parts may outweigh the value of the gun. Sadly, there isn't great demand today for guns like this. This Firearm appraisal is a value estimate on the appraised firearm for the date of the appraisal. The value quoted is a real world market value (also known as a private party value) and is the amount you should expect to pay for the firearm. This is not an appraisal for retail or wholesale purposes.The information and values in this appraisal are compiled from a variety of sources including the current editions of the Blue Book of Gun Values , my internal reference library, my network of Firearms experts across the United States, firearms auctions, and through various online sites. The values in this appraisal are based on recent sales of comparable and similar firearms taking into account the rarity, desirability, and overall original condition of the firearm. In the case that a comparable sale is not readily available, the value is based on a projected amount that the firearm would be expected to sell for.All information compiled in this firearm evaluation using the Blue Book of Gun Values online database and Photo Percentage Grading System is copyrighted 2015 by Blue Book Publications, Inc. and may not be used for any other purpose without written permission from the publisher. Any unauthorized usage of the Photo Percentage Grading System for the evaluation of firearms values and color photo percentage breakdown is also expressly forbidden by the publisher. Did you need anything further on this? Is there anything further you need on this, or can we close out the question? 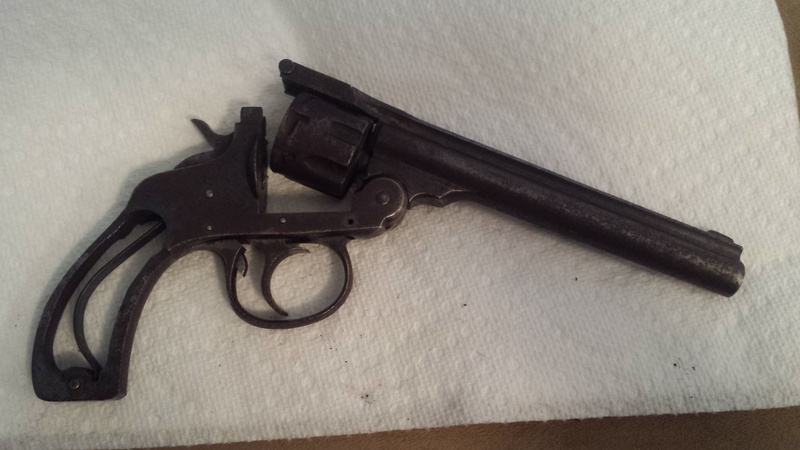 I have an old H&R Top Break revolver where ".32 S&W CTGE. 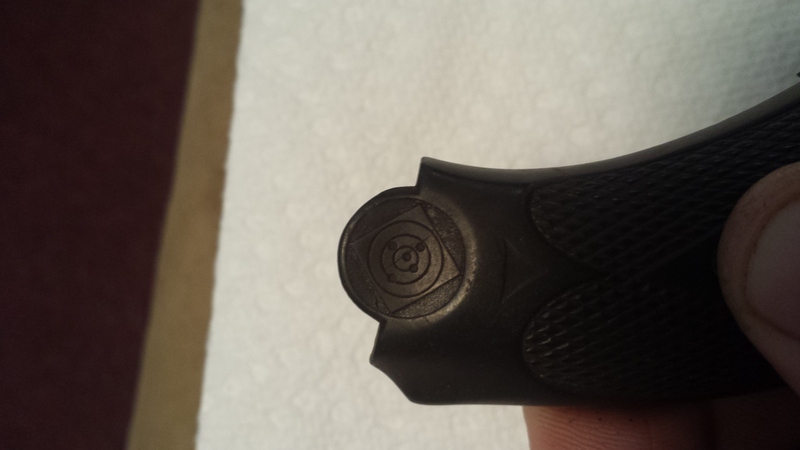 I have inspected the H&R 22 caliber pistol I asked about before. 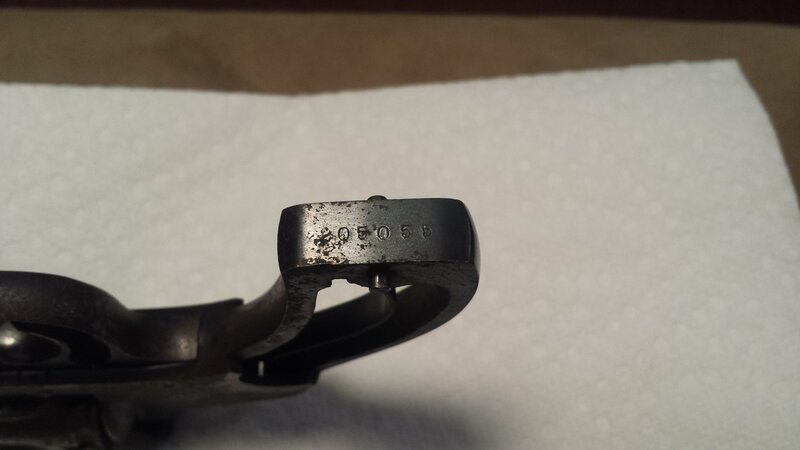 Friend of mine has an H&R Sportsman .22 nine shot top break.